Cleaning windows (not the computer software) is not just about making sure the glass sparkles or there are no streaks. There is more to it than that. Have you ever looked into the track that the window slides or sits in? 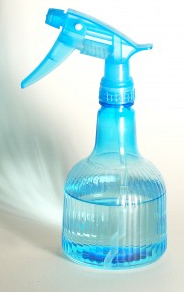 If you have, you’ve may have noticed dust, mold, dirt or sticky black grime. Not only is this unsightly, it could be embarrassing if guests in your home happened to see them. Small places like window tracks can be some of the dirtiest places in your home, and some of the most neglected. They can be totally disgusting and probably quite unhealthy, but, they can be cleaned up. This isn’t a hard task to do, it really all depends on how dirty they have become. Q-Tips, toothbrush or toothpick to clean hard to get corners. Although to some, these directions may seem simple and unnecessary, but if you have never had the need to clean window tracks, you may find this quite helpful. Begin by opening the window and removing the screen. Use the vacuum or brush to remove all loose debris. If you’re using baking soda, sprinkle it on the dirty areas and cover with a small amount of vinegar, let it “work” for 5-10 minutes. With your clean cloth, wipe away the dirt and grime and clean the corners and edges with one of the tools mentioned above. Window tracks that have been dirty too long may need to have the last two steps repeated. The first time you clean them might take a bit longer than normal, but by keeping them cleaned regularly, you can eliminate the extra time and effort (and embarrassment!). 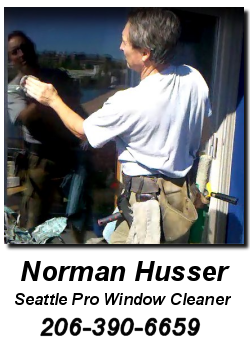 © 2019 Seattle Pro Window Cleaner. All Rights Reserved.